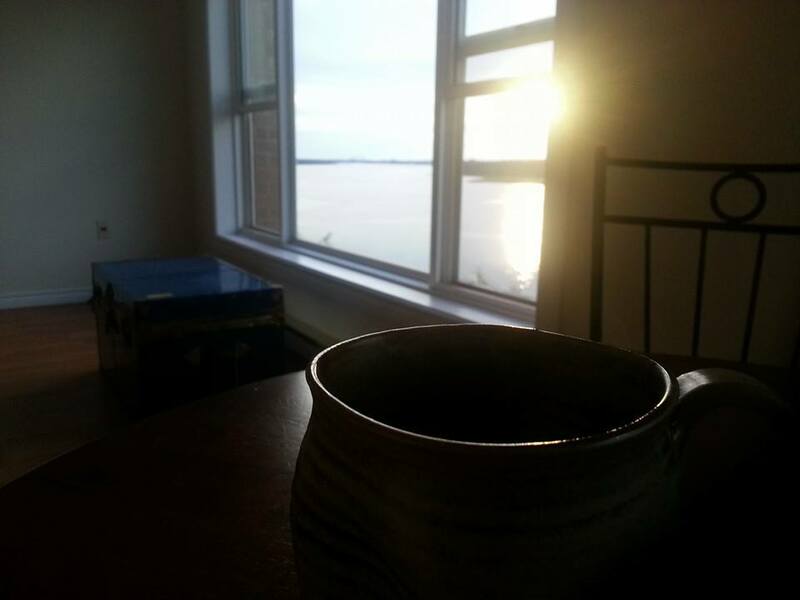 May 2015 be a year filled with peaceful sunshiny mornings and good coffee! On Tuesday it was goal setting day at my work but I didn’t go because I was just too wiped out from the travel storm stuck fiasco to get my head on straight enough to attend. Even though I didn’t go I wanted to do the exercise so I did it on my own at home. I think goal setting is extremely important and I’ve been doing it a long time. I think a lot of the good things that I like about myself have come about as a result of making goals and then achieving them. 1. Quitting smoking … TWICE! 2. Becoming Vegetarian and sticking to it. 4. Being brave enough to follow my heart to the USA. 5. Being strong enough to survive the fall out of following my heart to the USA. The idea is that you gain momentum and positive energy when you celebrate the success you’ve already experienced. If I could do all that, then I can for sure do all this. The next step is to list 50 things that you want in the next 10 years? If there were no obstacles barring your way and you could have anything you wanted what would you choose? Cover all areas of your life, community, family, health, career, money, personal, spiritual, etc. Really let yourself go … if you could do anything, be anyone, accomplish anything, go anywhere, own anything … the sky is the limit! It can be hard to get 50 things, especially the first time you do it. But this was not my first time so the list came pretty easily. After you make the list you go back and beside each item put a 1, 3, 5 or 10 for the number of years you think it would take you to accomplish this if you made it a goal and really focussed all your attention on it. If you think something might take longer than 10 years, you just put 10. I noticed I wasn’t as optimistic about this as I have been in past years. It shouldn’t take me three years to write a book if I set my mind to it and make it a goal … yet, I don’t feel optimistic any more that I could do it in one year. This is the failure of last year creeping into my psyche again. But that’s okay, at least I am aware. The next step is to total how many items you have for each number of years. Do you have any 10 years? If you don’t have many, that means you’re not thinking about the future very much. And it’s important to think about where you’re going so you can design your destination. Most of mine were one year, perhaps even more of them should have been, but overall the breakdown is pretty much the same ratio as last year. The next step is to write a little paragraph about why each one is important to you. This part can be really hard, but it’s critical to the process. Jim Rohn says, “When the why gets stronger, the how gets easier.” If it was worth it, you could do anything. So that’s why understanding the why or the worth of your goals is so important. Purpose is a much stronger force than object. 1. Becoming a Vegan is important to me because I believe it is a healthier lifestyle and that it reduces my carbon footprint upon the world. I want to get back to basics, eliminate as much of the hormones and other crap that companies put in our food supply as I can. 2. Becoming a more active person is important to me because I have been more active in the past and I know I feel better not just physically but emotionally and mentally too. I am getting older and I know I need to be more active if I am going to age gracefully and with few health complications. I want to be healthy. I want to be able to do things with my family. 3. Being more Mighty and a better employee should be the top of this list. There really isn’t anything more important to me. I love my workplace, my employer and my co-workers. I love my job. I have the best career ever! But in recent years I have let my emotional instability from personal and health issues take precedence over being the best I can be and contributing what I know I am capable of contributing to the business. Being on the top of my game, following a schedule and keeping on top of things makes me happy and gives me a sense of pride and accomplishment. It is way past time to get back to business for me. 2015 will be my Mighty year! 4. Writing something amazing is perhaps not as important to me as just writing anything period. I need to get back to writing on a regular basis. Writing is something that nourishes my soul and connects me to my inner being. I need to do it! I need to find enough balance in my life that I can write with abandon again. I want to be prolific on my blog again. I want to discover new stories and ideas. I want to give myself the freedom to be creative without guilt. And dammit if I am going to write, then yes, I want to write something amazing! 5. Being more balanced in all areas of my life is important to me because without that all of the goals above are not possible at the same time. I might become Vegan but at the expense of writing, being more Mighty and more active. Achieving balance is my ultimate life goal. This is the thing that alleviates stress and makes all the other goals possible. The next step is to think about what kind of a person you must become to achieve these goals in the next year. What must you do to become this person? In order to become a Vegan I need to be a person who knows about food ingredients and pays attention to what they are before making the conscious decision to put them in her mouth. I need to be an organized person who prepares more food at home than eats out and understands how to order when eating out at a regular restaurant. In other words I just need to be less lazy than I have been this past year. I need to stop ordering things I know have eggs and cheese or mayo just because it’s easier than eating a salad or asking them to hold the cheese or mayo. I need to be more focused and disciplined about it. In order to become a more active person I need to be a person with energy, who is always on the move and enjoys activity. I need to walk as much as I can. I need to watch less television and get up and move. I need to find activities that I enjoy doing. I need the determination and focus to make regular activity my usual habit. In order to be more Mighty and a better employee I need to be organized and a self-starter. I cannot procrastinate. I need to be a person who eats their frogs every day first thing and then just continues down through the list checking things off and getting things done. I need to be a person who makes things happen and has the focus and determination to see things through. In order to write something amazing I need to be a person who writes regularly. I need discipline to get to the empty page every day, even when the muse isn’t with me, even when I feel like I should be doing something else. I need discipline to write regularly and from there something amazing will emerge. In order to become more balanced in all areas of my life I need to be conscious, living life actively in each moment, in control of my own direction rather than just reacting to what happens. I need to be organized, conscious and disciplined. I need to be educated about possible chemical or hormonal imbalances that can throw other things off. I need to be active in my own health and aware of my own mind. Ah, you can see the pattern starting to develop … discipline, organization, conscious … it all makes sense. But that’s not all of it, the next step is to make a plan of the little things you can do each day, every evening, or the second Wednesday in every month to bring you closer to achieving your goals. That is your Action Plan. What skills must you acquire, who should you meet, what knowledge must you have, what financial capital is required … and how will you acquire them? You ask yourself how can you do it then you list 20 answers. How can I become a more active person? How can I be more Mighty and a better employee? How can I write something amazing? How can I become more balanced in all areas of my life? Oh boy that very last thing is it isn’t it? Build a life structure that cannot be easily torn apart. I said a mouthful there. Jim Rohn warned that you might find the real truth the deeper you are forced to dig. For the first month or so you are supposed to look at your goals every day. It helps set your intention, you don’t fall into the “out of sight, out of mind” syndrome. And this time next year if I stay focused I should be able to revisit these goals, cross lots off and then write new ones.